100-180 Exhibitors at each event! These FREE exhibitions are a one stop shop for the most up to date advice and information. Disabled Living has an enviable reputation of organising the very prestigious Kidz to Adultz event since 2001 and now hold five of the largest FREE UK exhibitions totally dedicated to children and young adults up to 25 years with disabilities and additional needs, their parents, carers and all the professionals who support and work with them. 100-180 Exhibitors at each event! 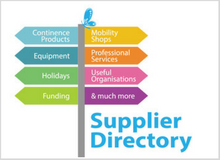 These FREE exhibitions are a one stop shop for the most up to date advice and information on mobility, funding, seating, beds, communication, sensory, transition, education, housing, employment, accessible vehicles, transport, style, sports,leisure and much, much more. Children are welcome to come along, try out the equipment and products, join in the fun and features and participate in the sporting activity sessions taking place throughout the day. For more information contact Disabled Living. Tel: 0161 607 8200 Email: info@disabledliving.co.uk.